Membership in the NFMA totals nearly 1,400, representing the major participants in the municipal market, including institutional investors, bond rating agencies, bond insurance companies, portfolio managers, investment banking firms and financial advisors. Join the NFMA to help further your professional education, develop networking opportunities, and make a difference in the municipal bond industry. In addition to membership via one of the societies listed above, individuals not in proximity to a society may join as Affiliated Individuals. Students and faculty interested in NFMA membership should also go to the Student Membership Page for additional information. NFMA membership requires adherence to the NFMA Code of Ethics. Click here to view the Code of Ethics. Membership requires one year of industry experience. In order to be accepted as a Regular Member of a Constituent Society, we request that you spend at least 25% of your job time in municipal research, legal analysis, portfolio management, or supervision of these employees. Other types of municipal finance professionals can be admitted to local societies as Regular Members on a case-by-case basis and at the discretion of the Constituent Society. If you apply for membership in a Constituent Society and are accepted as a Regular Member of that Society, you automatically become a member of NFMA. You will be asked to provide two references from members of the Constituent Society to which you are applying. Click here to apply for regular membership in a Constituent Society. Membership requires one year of industry experience. If you do not live in proximity to a Constituent Society, you can apply for membership in NFMA only as an Affiliated Individual. Both Regular Members of Constituent Societies and Affiliated Individuals are Regular Members of the NFMA. In order to be accepted as a Regular Member of the NFMA, we also request that you spend at least 25% of your job time in municipal research, legal analysis, portfolio management, or supervision of these employees. Other types of municipal finance professionals can be admitted to NFMA as Regular Members on a case-by-case basis and at the discretion of the NFMA's Membership Committee. You will be asked to provide two references from members of the NFMA. Click here to apply for regular membership as an Affiliated Individual. If your job duties do not enable you to apply for Regular Membership in the NFMA or its Constituent Societies, you may apply for Associate Membership in the NFMA. Associate Members are defined as professionals in the municipal industry or related disciplines who do not meet the criteria for membership as Regular Members. Associate Members of the NFMA are not members of Constituent Societies, and may not serve on the NFMA Board of Governors. Click here to apply for Associate Membership in the NFMA. 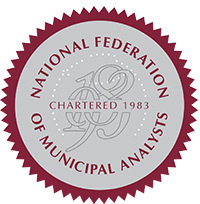 Full-time students enrolled in academic programs that prepare them for possible careers in municipal analysis are welcome to join the NFMA. Student Membership is also available to professors in these programs. Our Student Membership Application requests information about your academic programs, including anticipated graduation date, course work and contact information for two professors. Click here to apply for Student Membership in the NFMA. Dues will be determined upon acceptance. Each Constituent Society sets its own dues. Regular Members of the Constituent Societies also become members of NFMA and are assessed NFMA dues of $150/year in addition to the dues owed to the Constituent Society. Upon acceptance to a Constituent Society or as an Affiliated Individual or Associate Member of the NFMA only, you will be emailed information regarding payment of dues.Only members in good standing have access to the Membership Directory, Meeting Handouts, Job Bank and discounts on NFMA educational events. Questions concerning membership may be addressed to Lisa Good, Executive Director, NFMA, at 412-341-4898, or e-mail [email protected].